The semi-final line-up for the Gold Cup has been confirmed following a dramatic quarter-final weekend in SA Rugby’s three-nation champions’ league for non-university clubs, with QBR and DirectAxis False Bay hosting the top-four round in Pretoria and Cape Town respectively. 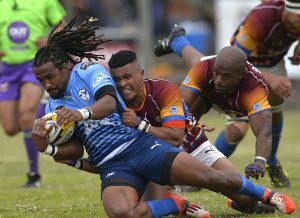 A combined total of over 10,000 spectators turned out in Cape Town, Pretoria and Rustenburg to see defending champions Newrak Rustenburg Impala, 2016 runners-up DirectAxis False Bay, Blue Bulls Carlton Cup winners Quins-Bobbies Rugby (QBR) and KZN champions Go Nutz College Rovers win through to the last four. False Bay beat SWD champions Progress George 37-13 in Cape Town and Impala overwhelmed Northam Platinum Rhinos 69-21 in Rustenburg to set up a mouthwatering repeat of the 2016 final, which was won 48-24 by the men from North West. 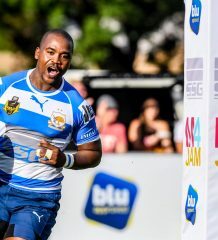 The Capetonians will however have home-ground advantage this time round after finishing the pool stages with more log points, with Impala, looking for their third title in four years, flying to the Mother City on Friday. And in the other semi-final, QBR will host Rovers in what promises to be a titanic battle in the nation’s capital. The Pretoria side were too strong for Pumas champions Sasol Hydra-Arc Secunda, winning 59-20 at the Harlequins Club. The match of the weekend took place at Florida Park in Ravensmead, where Rovers had to dig deep to hold off Tygerberg 27-23 in front of 5,000 passionate supporters, with Sharks wing Tythan Adams grabbing a first-half brace. Tygerberg, a tournament wildcard, fully justified their invitation by finishing in a creditable fifth place overall. Follow the latest Gold Cup news on Facebook (Gold Cup Rugby) and Twitter (@GoldCupRugby).